I love a good high-end high street comparison. I’m a total high street girl when it comes to make-up. Clothes and fashion have always been my main passion and interest, which doesn’t always leave the most amount of money to be spending on expensive make-up products. Last year I was kindly gifted my first ever Givenchy product at an event I attended at Debenhams in Norwich, and it’s possibly changed my view on where my money should be spent when it comes to makeup.. The lovely ladies kindly gifted me the Givenchy Noir Interdit Mascara* to give a whirl. Although I have a few high end makeup products such as my Urban Decay Naked Palettes, my Clinique skincare and my Zoeva Brushes, I’ve never used a high end mascara. My current go-to for lashes is the Maybelline Lash Sensational. The price difference between these two is a pretty steep £17, so what’s the difference between the two? First up, my trusty old favourite Maybelline Lash Sensational. My full review on this can be seen here. 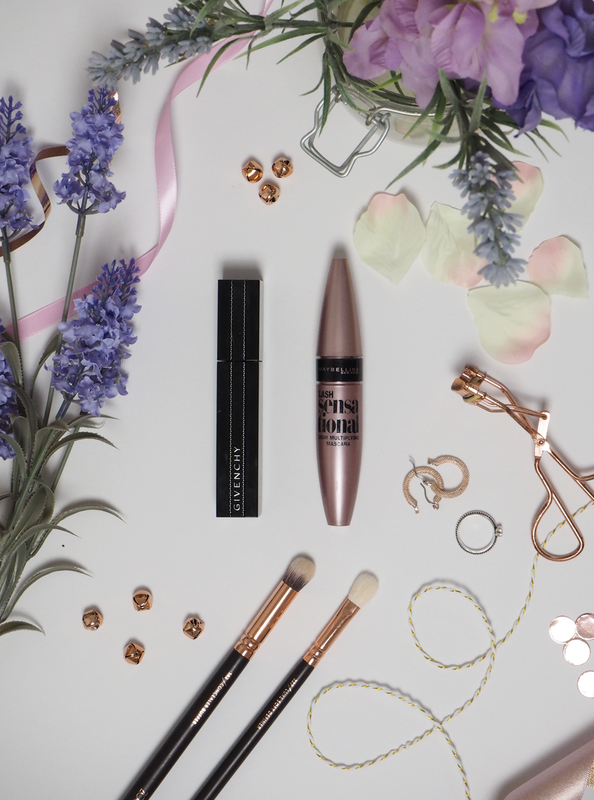 Retailing at £8.99 this is a great mascara – the wand clings onto my lashes, lengthening them while also giving them the perfect amount of volume. If you’re not careful, you can end with a bit of a clumpy look though so that’s something to be aware of. All in all, this is a brilliant everyday mascara. 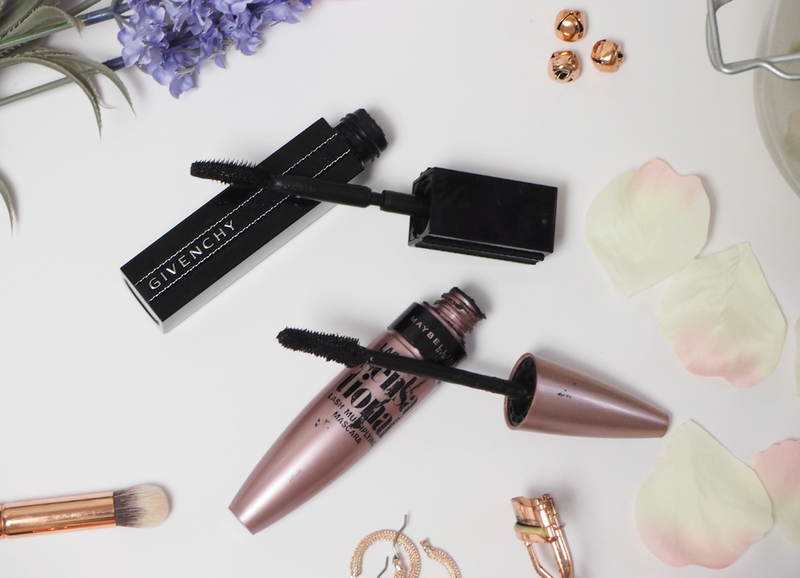 Now the pricey one – Givenchy Noir Interdit Mascara retails for £26. If you told me you’d spent that much on a mascara I’d probably choke a little. After giving this a try, I can say it is a brilliant mascara though. The packaging is clean, and the wand has that handy rotateable feature. Although it is useful to be able to bed the wand like this, I don’t find myself using this feature, so perhaps without this, the price may have been slightly less? The head of this mascara though, I really can’t fault. It picks up just the right amount of product and really grips onto my lashes, coating them lightly. In comparison to Maybelline, this mascara definitely lacks in the amount of product applied, and therefore volume, but I really love the finish it gives. All in all, I love both mascaras. But for me, as a student, the Givenchy is just a little too pricey for what it is. With my experience in other high street products, I can appreciate that sometimes you do get more out of a product, if you pay that little bit more for it. The mascara is nearly worth it’s price tag, but I’m simply not that interested in the perfect mascara right now, and if I’m to buy high-end, I’d much prefer to spend my money on something like skincare, or an eyeshadow palette I know I’ll appreciate more. Are you a high-end or high street girl? What are your favourite products from both?